The original method by Dr. med. Christine Schrammek. 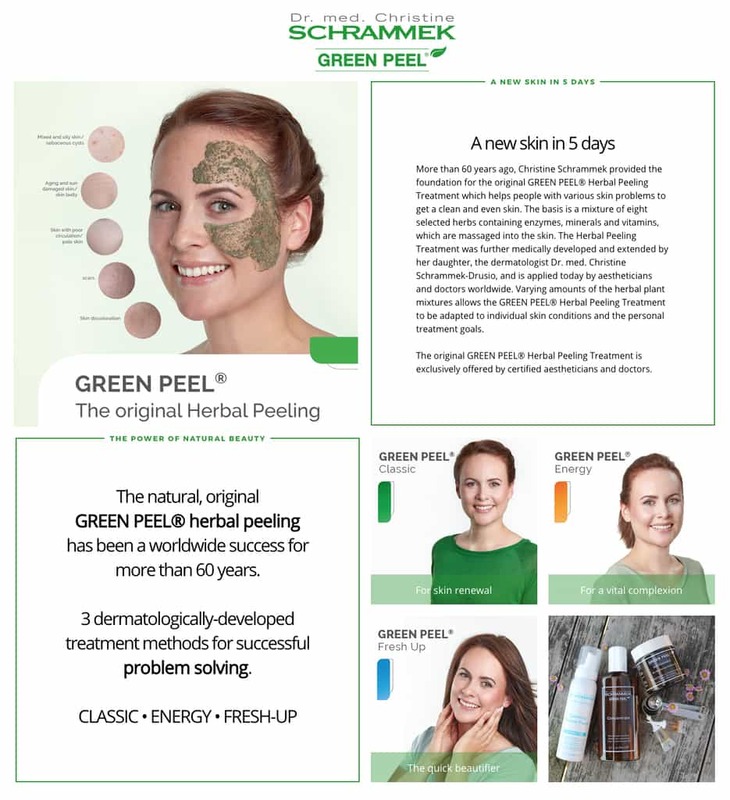 Green Peel herbal peeling treatment is a medically developed, worldwide proven, biologically-based method for peeling the skin with exclusive natural plant ingredients. In this class Green Peel treatment will be performed on each student. The student will also have the opportunity to perform a treatment themselves. Please feel free to contact us at 416-661-6700 or email [email protected] for registration inquiries or for more information about our training seminars.